Spring! And this year I have a surprise in my backyard. 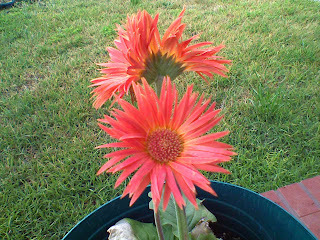 That's a siamese daisy in the back :-) Like I said, it doesn't take much to impress me.